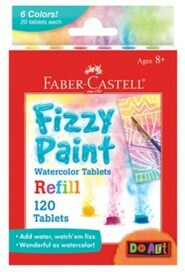 Make cool and unique masterpieces with the Fizzy Paint Mix & Make Watercolors set from Faber-Castell. Designed for ages 8 years and older, this set includes over 100 pieces plus cool project ideas. 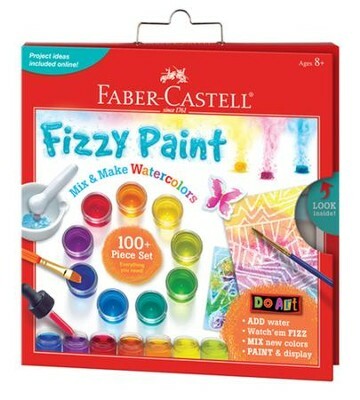 Just add water to the fizzy paint tablets, watch the paint fizz and bubble, paint, and display! A hands-on kit that encourages kids to discover color blending. I'm the author/artist and I want to review Do Art Fizzy Paint Mix & Make Colors.